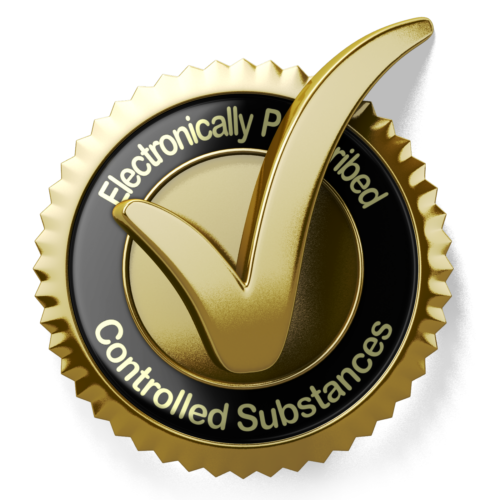 03/28/2016 - PrescribersConnection®, LLC, the nation’s only Long Term Post-Acute Care focused ePrescribing solutions provider announces the latest release of PrescribersOrders certified for electronic prescribing of controlled substances. PrescribersConnection has again earned Drummond Group certification for its web based ePrescribing software, PrescribersOrders by PrescribersConnection. This time for electronic prescribing of controlled substances (EPCS). To earn certification, ­­­­­­­­­PrescribersOrders was audited to ensure that it complied with the requirements delineated in the Drug Enforcement Administration’s (DEA) EPCS Final Rule (Interim), 21 CFR Part 1300, 1304, 1306, and 1311. Drummond Group’s EPCS certification process, one of the first approved by the DEA, is designed to review prescriber and pharmacy applications with EPCS extensions for compliance against the DEA EPCS Final Rule. This latest release to our existing physician ePrescribing software, PrescribersOrders, not only allows for secure and certified EPCS but also allows the physician to electronically communicate between facilities and pharmacies, approve medication orders, and receive pertinent patient information in real time with a single login utilizing the PrescribersConnection LTC Network. Our proprietary LTC Network is utilized by the nation’s most advanced facility and pharmacy software vendors focused on technological innovation and patient medication safety. It is ONE connection providing access to ALL prescribers, facilities, and pharmacies within the PrescribersConnection Network. PrescribersConnection is a developer and marketer of electronic prescription (ePrescription) software solutions that automate the prescription fulfillment processes for healthcare organizations and pharmacies. The PrescribersConnection LTC Network is a linked network of Long Term and Post-Acute Care facilities, prescribers, and pharmacies delivering fast and reliable electronic transport of census information, new orders, fill confirmations, resupply requests, and discontinued medications. ONE Connection – ONE Standard – ONE Certification. Drummond Group is a global software test and certification lab that serves a wide range of vertical industries. In healthcare, Drummond Group tests and certifies Controlled Substance Ordering Systems (CSOS), Electronic Prescription of Controlled Substances (EPCS) software and processes, and Electronic Health Records (EHRs) – designating the trusted test lab as the only third-party certifier of all three initiatives designed to move the industry toward a digital future. Founded in 1999, and accredited for the Office of the National Coordinator Health IT Certification Program as an Authorized Certification Body (ACB) and an Accredited Test Lab (ATL), Drummond Group continues to build upon its deep experience and expertise necessary to deliver reliable and cost-effective services. For more information, please visit http://www.drummondgroup.com or email info2@drummondgroup.com. Additional information on Drummond Group’s EPCS certification program is available at https://www.drummondgroup.com/services/epcs-certification. In addition, to receive the latest updates on the EPCS Certification Program, please email epcs@drummoundgroup.com.